The following photograph is provided by the owner. Copyrights will be enforced by the owner. Copying, disseminating or distribution of this photograph is prohibited. 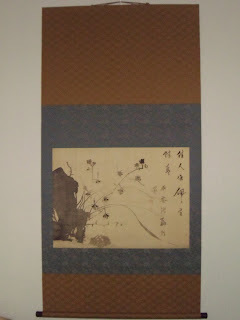 The beauty of this scroll is the simple two step style. It seems to really go well with the simplicity of the painting.